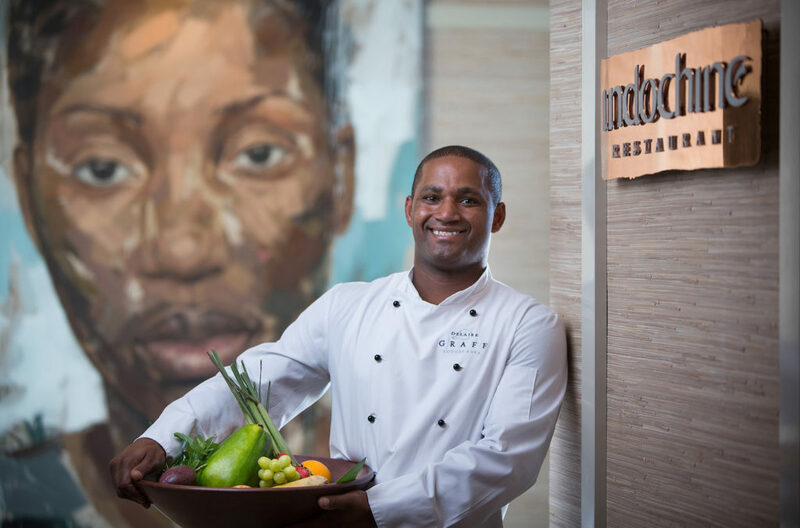 On the Delaire Graff Estate at the top of the Helshoogte Pass in the Stellenbosch Wine Appellation, Morné Vrey makes not only the most sublime wines, but the two Chefs, Michael Deg of the Delaire Graff Restaurant and Virgil Kahn of Indochine produce show stopping food. This month, I thought we would post one of Virgil’s sublime dishes. The recipe is perhaps a bit more complicated than the usual recipe I post, however it is fascinating to see the way the professionals create their dishes. Virgil’s Black Pepper Springbok loin, braised shank, peppadew purée, charred leeks, black rice and crispy leek roots is both spectacular to look at and to eat. Sous vide at 65°C. Sear the outside and glaze with the pepper sauce. Place shank in a hotel pan with cut up vegetables. Blend the pepper corns and Sweet Indonesian sauce together and pour over the meat. Fill with chicken stock until the meat is covered. Place aluminium foil over the top and place in oven overnight at 100°C. Remove the meat from the bones and keep the braising liquid. Reduce the braising liquid with Sweet Indonesian sauce and a jar of Black pepper sauce until it becomes sticky. Ferment peppadew at 36°C for 15 days in a vacuum sealed bag. Add toasted oak cubes and keep in the fridge for at least 3 months. Blend until smooth and add sugar, fish sauce, butter and vinegar. Heat up a pot and add the cooked black rice. Add the pepper sauce and stir through until the rice is hot and sticky. Add crispy onion, spring onion and herbs. Serve with lime wedges. 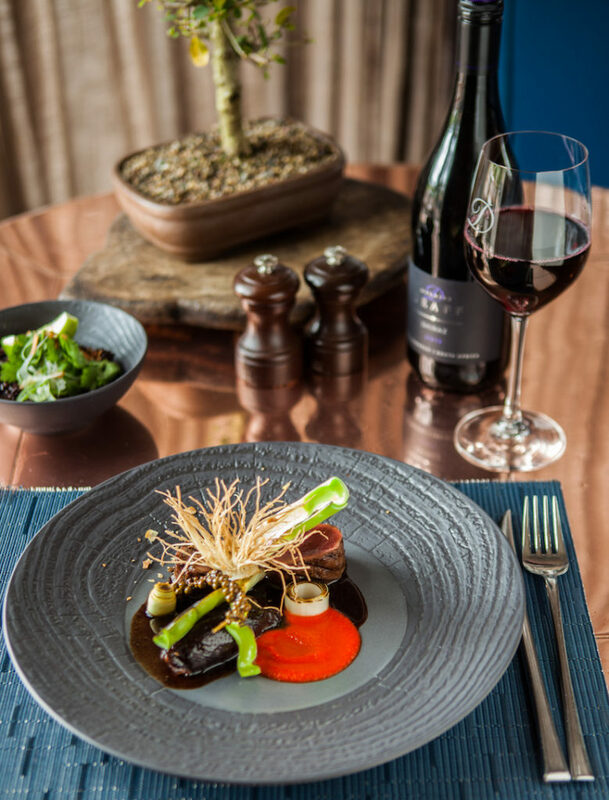 Virgil recommends the Delaire Graff Shiraz 2015 as the perfect wine for this dish.